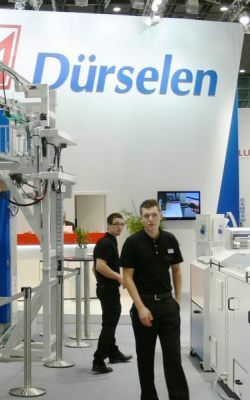 You can see Dürselen paper drilling machines and finishing systems regularly at events in different countries. Below we have listed the shows and open houses featuring our products in the near future. Please click on the corresponding link to see the show websites. If you are interested in a paper drilling solution and there is no opportunity listed please contact us. Most paper drills are available for demontration purposes in our works. Alternatively we will be pleased to name reference customers in your country.